This post show the source of Porsche PIWIS 2 free download,you can try at you own risk to use this software. What is Porsche PIWIS II ? 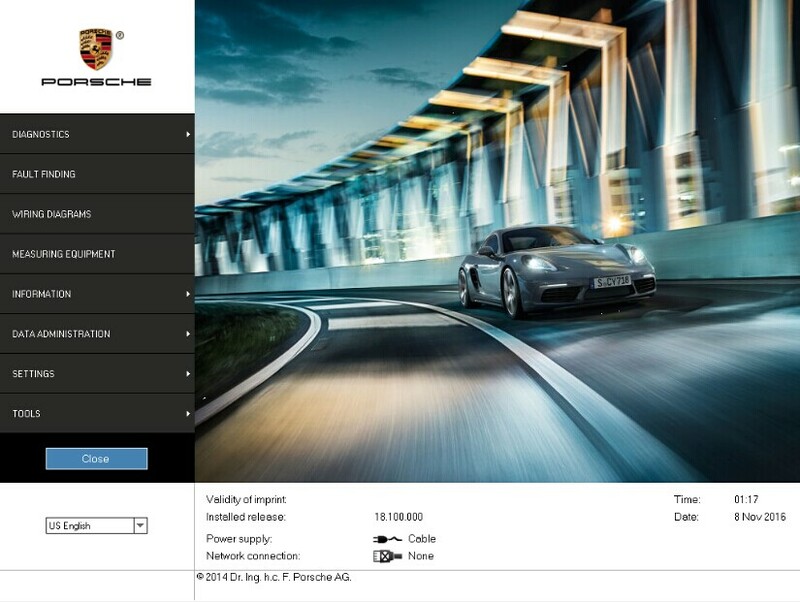 Porsche Piwis II software is the latest professional diagnostic software for Porshe,the most poweful diagnose and offline programming software for Porsche. 1Read/clear error code, catch data stream, computer programming match, component test, maintenance information consult, components site drawing, wiring diagram. 2Piwis Tester II works with the old and latest Porsche cars. It is equipped with the Panasonic laptop and original software for the test. Porsche Piwis Tester II can help you diagnose and program the most new and old kind of Porsche cars. For example: 911(997)(991), Boxster/Cayman, (987), Cayenne up to MY 2010, Cayenne from MY 2011 and Panamera. 3New Panamera can only be diagnosed by using Piwis Tester II. Based on current project planning, all earlier vehicle models will gradually be changed over to the new Piwis Tester II by the end of 2010. Piwis Tester I must be used for older models in the Porsche workshop until end of 2010. ENGINE automation transmission, air-conditioner, SRS, ABS, ASR, MPL, GM, Original antitheft System,KEYLESS GO system, OBDII system.